Lost: Having gone astray or missed the way; bewildered as to place, direction etc. I am currently sitting in dirt, exhausted and only 5 km shy from arriving at the end of my long hike. A part of me is dreading to get back on my feet and continuing the way, and the other part of me is taking in the ocean salty air and feeling more alive than ever. In four days I managed to hike over 40km, and drove my little economy rental on roads I wasn’t sure I would even be able to get out. There were moments when I would see no life other than the odd bird or so, 10 km in on my hike making me feel as if I was the little prince, a childhood book about the story of a prince living on his own planet far away from everything. This summer was a difficult one, living in the era of freelancing, it was my first low season. I fell down too many times to count, felt as if I wasn’t good enough and started feeling the need to give up and perhaps think about pursuing something else. I felt lost, really really lost. As if someone took my identity and threw it into a volcano. I wasn’t sure how to pick myself up, and to this day I am still learning on how to get back on my feet. I needed to get away, and searching on google flight, I instantly booked a flight to Saint-Johns Newfoundland not knowing what to expect. After all, they say traveling is the best medicine and I was in deep need for some. And here I am, just hanging out in the dirt. My legs are exhausted and I feel like a little kid that doesn’t want to get up. Although I might be really far from the closest town, and that I have zero cell signal, I don’t feel as lost as I was when I first landed here. It seems as the traveling medicine has worked it’s powers and has let me feel a bit more centered. I decide to push myself back up, realizing yes I should of brought some hiking poles with me and continued my hike back to civilization. Being alone for a few days is definitely challenging, especially when you are in the outback but for me it was a moment of meditation of the mind and giving some time to myself. The connection we feel when we are in nature is so powerful, especially when we are alone within it. Walking slowly, I began to replay the week. 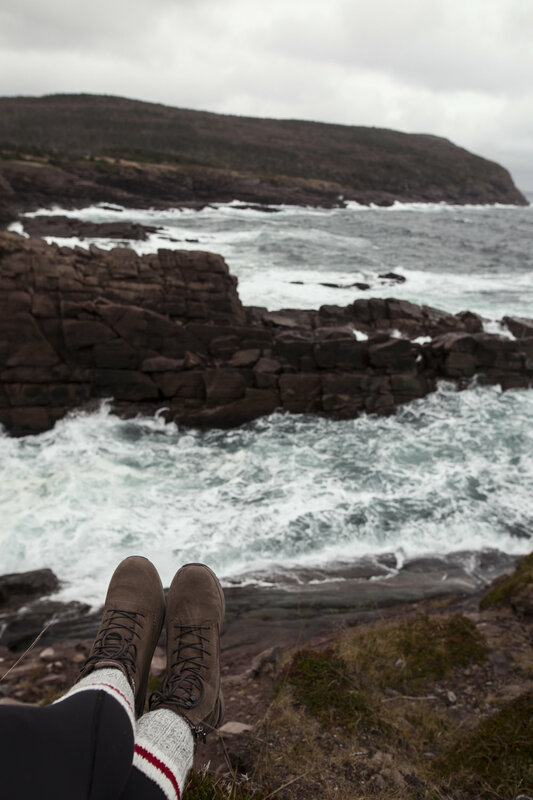 Hiking around Cape Spear as I watched the big cargo ships come in and out of Saint-Johns. Driving to Avalon wilderness reserve and experiencing the deep woods for the first time of my life. As I drove up to the reserve I passed 2 cars and the absence of humans let me park on the side of the highway to enjoy the views every once in a while. Meeting a local surfer, surfing in the cold Atlantic ocean alone. Watching him master the art of cold water surf and seeing the passion in his eyes as he walked back to his car half frozen. To taking a homeless man out for some Ramen noodles at the best noodle restaurant in the city. I say ‘’city’’ but deep down we know Saint-Johns is more of a welcoming town than a big city. This morning at dawn, I drove my little rental on a 4x4 trail only to realize after it was a ‘’drive at your own risk 4x4 trail ‘’ oops. I blame it on the night sky. And now, I am back to the present moment, about 3km to my destination, my legs shaking and every step being a little harder than the last one. I left for only 4 days, but I learned a lot during my time here. I learned that it’s okay to feel a bit confused about your own life journey. That we all go through times when we feel a little lost, scared. I learned to take advantage of the connection between human and nature to help improve my mind. I learned that even if your legs are shaking to the point you can’t feel them, that you can still keep going, regardless of the distance. Being alone can be challenging, but greatly appreciated. One thing I learned about myself was how I am able to control my anxiety a lot more than a year ago. A year ago, I wouldn’t even be able to leave on a solo trip like this. Sudden noises coming through the trail, and my mind comes back to the present moment. I hear a tractor or something coming from the trail ahead. Of course, a older Newfy got his tractor stuck on the trail as he went out to cut some wood to warm up the house. I stood there, and thought he didn’t notice me, my legs were barely holding up but I knew I was close to my car so my legs can hold on a little longer. He turns to me in a joyful voice, he was sorry for blocking the path and I told him it’s fine no worries. 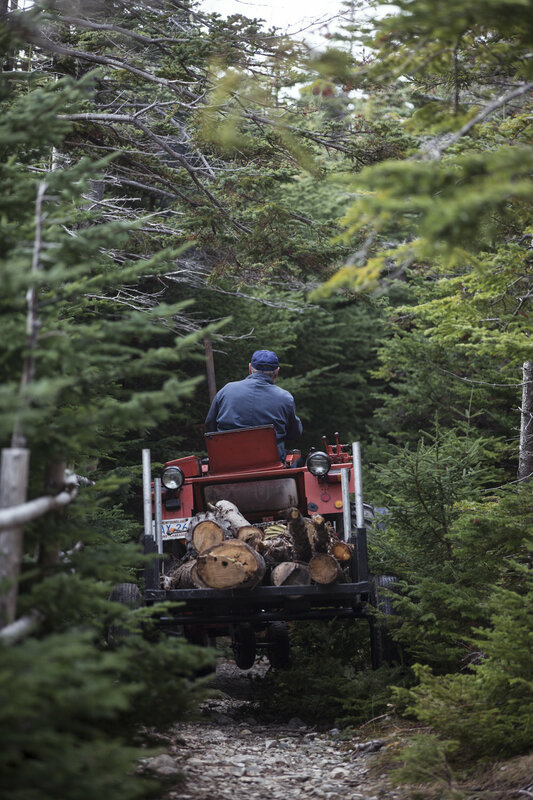 Although the noise from his tractor was incredibly loud, I could still hear him trying to talk to me, I chuckled and nodded. Eventually he made it out, and at that moment I pulled out my camera one last time to capture this moment below. 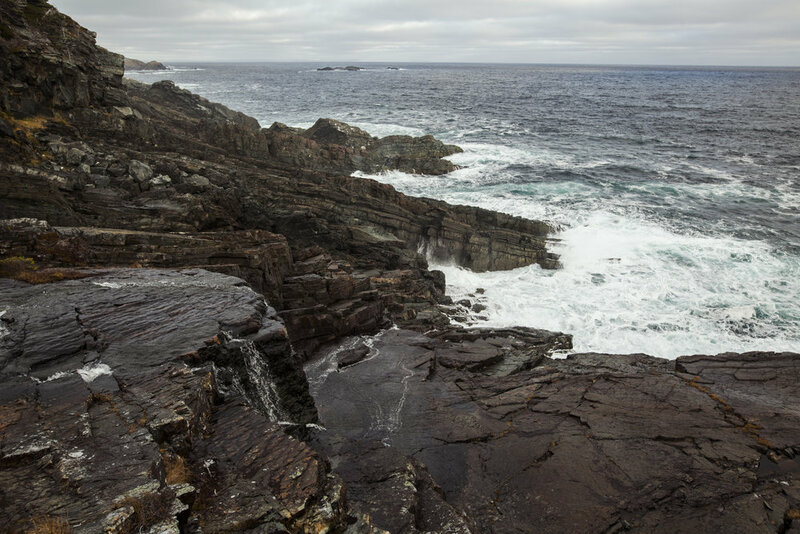 Newfoundland gave me the opportunity to open up to myself and feel the emotions I was keeping in me for far too long. I am leaving this place still feeling a little lost, but that’s okay. This place allowed me to climb out of the hole I was stuck in. Of course there is still the journey back up the mountain, but at least now I see a little clearer.